In its day, it was a wonderful educational experience for both the newbie and experienced; it was a warm supportive community; and it was part of an online business. Still Online, Not Active. Hibernating. I'd like to put this update on the BlogWritingCourse.com site but since I can't seem to figure out the login, I'll work on this draft over here on Blorum.info, my catch-all site for online marketing notes on SEO, social media, and blogs. My reason for the update is that I'm tagging along with my wife to a bloggers conference (#TBEX) so I'm thinking about blogging plus there have been a series of recent inquiries from friends of friends who are thinking of launching similar ventures and who want to benefit from my experience. Rather than tell them the story, I thought I'd post it so everyone could benefit. Status update. Trumpets blare. Drums role. BlogWritingCourse.com, as was foreshadowed in my mentioning of not being able to find the login, is not being updated, maintained, or marketed at this time. The courses on the site are available for free but they are more than a little out of date. We often think about reviving and updating the course but we have better, in the business sense, things to do with out days. By "we," I mean the Vkidz company, an edtech publisher for students in K12. Future Plans: None at this moment. Still incubating and....well, licking my wounds from the first set of go rounds. Go rounds? Yes, go rounds. It's time to reveal the history of this noble artistic-business endeavor. Note, the names have not been changed to protect anybody. Mostly, this is a mea culpa although to be honest, I'm still not sure why it didn't work. Back Story. I'm a real person. My name is John, Needing a job about a decade ago, I started Vkidz, an online education company for kids and I have been running it ever since. We sell both to families and schools. We do a lot of online marketing so I was interested in Mommy Bloggers from the start. (And teacher bloggers, PLNs, and so on). 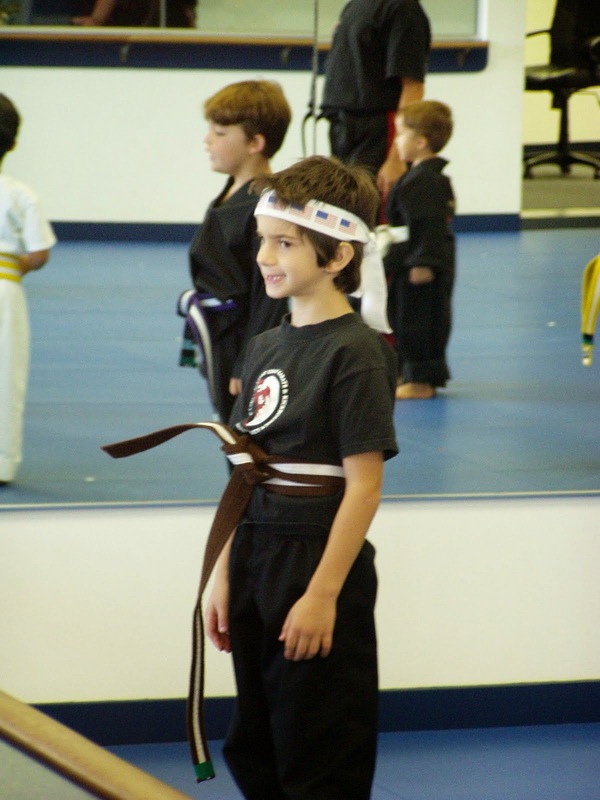 I started the company when I was in my mid 40s and at the same time, my son started taking karate at the local dojo (Yes, all these strands are relevant). So, I started taking karate too. Start by standing at attention. 1. Look Left while Blocking Left. 3. Step Left while looking right. 4. Block Right while Blocking Right. etc. right up to number 50 or a hundred. I would try to write all these steps down and then memorize them. But I kept losing my note cards. And then people wanted copies. So I started a blog initially for record keeping. The first BBat50.com post. I switched blogging technology a few times at the start so the very first versions are perhaps lost. But the first post on the blog that is still up was posted on July 6, 2006. It's about a kata known as Long One. And of course, this is not the original version of the post, the pictures and videos came later. The first year, I mostly focused on writing up all the different kata and drills to help me remember them and share them with others. It turns out that I was not the only one who needed some help remembering, the blog started to get readers. My karate classes were in a group and we were all pursuing our black belts: "Black Belt Excellence is our Goal, Sir!" Yup, we really did say things like that. Happy times. After a year, I broadened my blog writing from just the mechanics of the kata to describing the experience that we were going through. I became a sort of class recorder and photographer. After an intense class or sparing match, I would post on my online diary or weBLOG. This was BFB (Before Facebook) so it was a big deal for people to see pictures or stories about themselves on the Internet. Oh, how bright they seem, through memory's haze, those happy, golden, bygone days which were less than a decade ago! BTW, Facebook and my company Vkidz were both founded in the same year, 2004. And we're both still in business. But that might be were the similarities end. The problem: My writing sucked. My blog articles were boring, even to me. In contrast, I had started reading a blog by a young lady known as Black Belt Moma, "Not Just Doing the Commute, But Earning the Belts." Her stories were on the same topics as mine. She too had been drawn into pursuing a black belt by taking her kids to karate but her blog was captivating whereas mine was sort of ho-hum. So I approached her and asked : "Why is your blog so sparkling and mine so dull?" First of all, she didn't disagree with my assessment which I appreciated since candor is high on the list of characteristics that I appreciate. She answered coherently and graciously. Essentially, she said, "I write like a trained writer with a sense of episodes, characters, themes, and plot development. You don't. But your content is solid, interactions with readers are good, and so good luck to you." Entrepreneurial Flash of Insight. I wondered if there was a business in teaching bloggers? Might I I employ her as a teacher and could I could create some courses for the thousands of struggling bloggers like me? It seemed like a good idea. Actually, it seemed like great idea. (I still think it's a great idea). So I hired BlackBeltMama to develop and teach the courses and started one of my first business diversifications. - original concept for course. Still great idea. Creative interactive fiction! 2. Pick your voice and some clever packaging for your identity. In my case, I was a middle aged father trying to earn a black belt before I turned 50. The themes from there, pretty much wrote themselves. I was an x jock trying to recover some feeling of youthfulness. I was a proud dad watching my son grow into his teens and a new level of self. I was the personification of a mid-life crisis. I was like every weekend warrior comparing ice packs to hot tubs, aspirin to motrin, and chiropactory to massage. The whole thing was fun and funny, my tone was self deprecating. It's funny to see a 50 year old breathing heavily while a 20 year instructor encourages me "to make an effort". Funnier still is that I too felt thrilled when he says that I'm making progress. My audience was the other parents like me either trying to do martial arts or thinking about it. So along with a few dozen other students, I figured out this out in the course which we initially offered for free to a friends, friends of friends, and friends of friends of friends. - thrilling first educational experiences in taking the course. 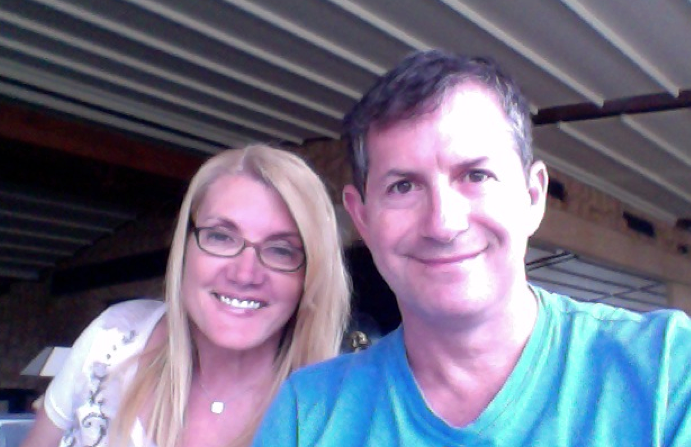 Side story of creating Time4Writing courses, writing mechanics for students 2nd-12th. Discussion of blog technology and learning management systems. - BlackBelt Momma goes to college, ie she gets a job at a university and so we're looking around for new staffing. (BTW, I liked working with her and I really appreciated her efforts to get the thing going. She was great.) Still, what to do? - Vanilla Repositioning from the admittedly weird and offputting blackbeltblogger concept to the very vanilla BlogWritingCourse.com (no more scary martial art themes). And, more drums and trumpets, enter the spicy and saucy Topsy Techie, homeschool mother, blogger extraordinaire, and social media pioneer. Postmortem - Still don't know what to think....A hell of an interesting effort....I wish it had succeeded. I also wish it was my worst commercial failure but frankly....do i really want to get into that? Second postmartem for you education LMS & CMS geeks. (Kris, help? Any memory of the initial google groups and typepad sequence? When did we switch to Moodle & Wordpress? Also, I'd like to post some of the showy stuff that you built and talk about the developer role. Is the video of moving from subdomain.blogger.com to mycustomname.com up on youtube or anything? I might also write about blogger v wordpress. Old blogger (with videos that disappear) vs new blogger with youtube videos). And of course, this should be a whole separate post.